BowlersChoiceOmaha.com strives to be the website that provides consumers with a easy and safe way to service your bowling needs without compromising quality or customer service. How we pursue our mission is influenced by a set of core values. Honesty, integrity, and customer service are the principles that direct how we service our customers, the ideals that drive what we do and how we do it. We strive to achieve these high standards daily. 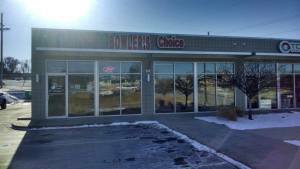 BowlersChoiceOmaha.com is the online division of Bowlers Choice Pro Shop which is owned and operated by Doug Laird and Rich Abboud. 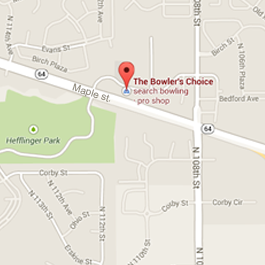 Bowlers Choice opened in 1994 and after years of serving local bowlers, we decided to open our doors to the rest of the world. Going beyond providing a large selection of products and great pricing, we are also a full service pro shop, offering in-house bowling ball drilling, plugging and resurfacing at our retail location. Our staff has over 32 years of ball drilling and other ball maintenance experience. You can rest assured that your favorite bowling ball is in good hands. The key to our company’s success is a profound belief in honesty and an unwavering commitment to quality and customer satisfaction, your complete satisfaction is always our goal. Thank you for visiting. We greatly appreciate your business. Have an outstanding day and good bowling.